The Open Frame series provides the ideal solution for high density cabling needs. The Open Frame series II is a two post design, while for heavy duty installations, we recommend our four post version. 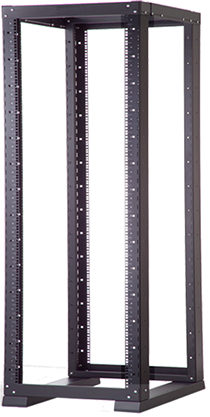 The Open Rack Series is designed for patch panel and high density cabling requirements. Maximum access for cable management and equipment maintenance. Size available in 27, 39, 42 and 45 U heights. Note : See our Wall Mount Open Frame Series for small installations. The Open Frame series provides the ideal solution for high density cabling needs. 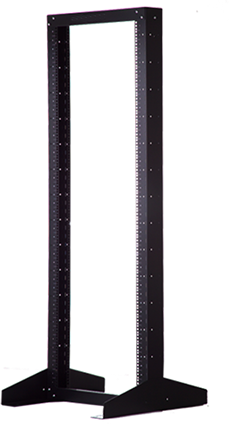 The Open Frame series IV is a four post design for heavy duty installations.The Open Rack Series is designed for patch panel and high density cabling requirements.